The year has flown by and now it’s the lead up to Christmas and the potential for making sales is very real. Q4 promises a busy time for e-commerce campaigns to shine. 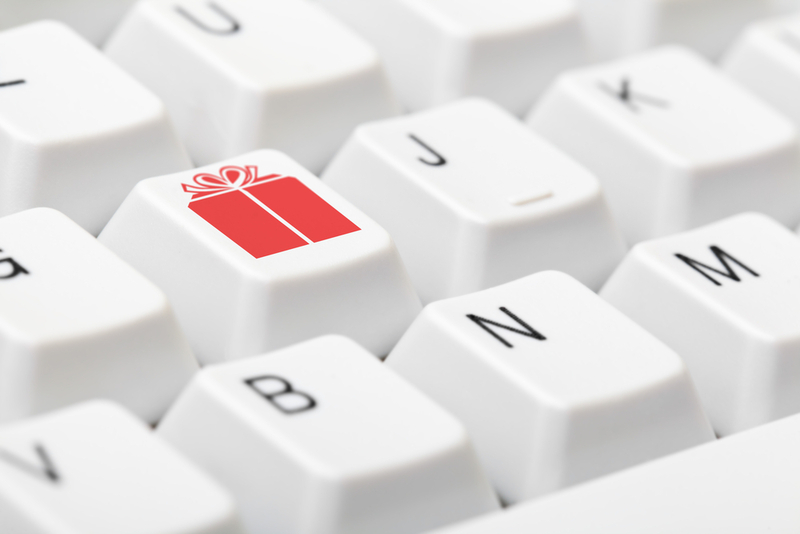 A chance to capitalise and be present for the busiest time of the year for retailers online. So, how can we ensure that we maximise the potential that the increased traffic in the Christmas buying frenzy brings? 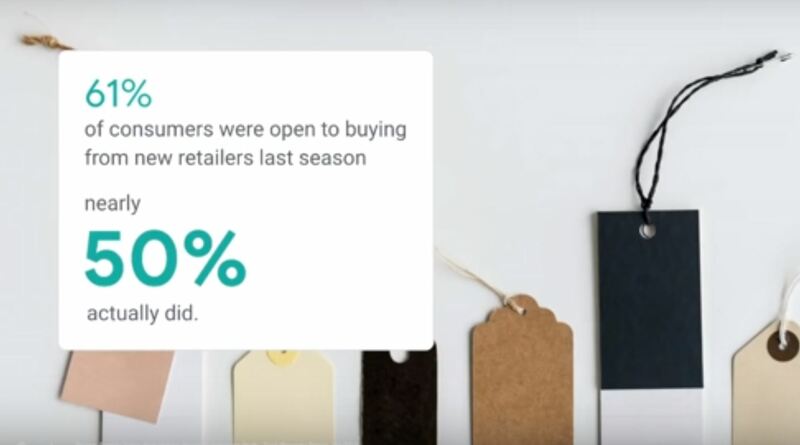 Capturing those ‘I prepare months in advance’ shoppers early and influencing those ‘last minute Christmas Eve rush’ to purchase shoppers right at the end of the season. Whatever the user behaviour, we want them to chose your products over your competitors. E-commerce advertisers are going for the double prong attack. They want to welcome new customers to their brand whilst also encouraging repeat purchases from those that have bought before, securing loyal life long customers. “New customers will on average look at 2-4 websites before purchasing,” so a softer Return Of Advertising Spend (ROAS) target is necessary and a realistic view of what it takes to gain new customers and their life long value. The most important piece of advise that KMG has gauged is to be present and stay present through out this entire period. Why? Because “more than half of customers begin their research in October or earlier,” that means that during this stage it is essential that advertisers be present to enter the race and be in the running when it matters. With only “33% of users making actual purchases in October or earlier”, it is important to build a solid foundation during that phase. Advertisers need to be at the forefront of the user’s mind when they do come to eventually purchase. And, at this time of year, with intent so high, there is every chance that users will purchase from you when they are ready if you have put in the essential ground work. Being present during the entire quarter maximises return. Fact. Your brand needs to be present at multiple stages between October-December. Be present in the research phase that pre-empts the buying phase. It is a competitive and lucrative time for advertisers as purchase intent in December is much higher. 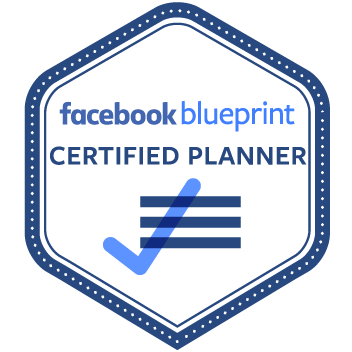 If possible, prevent your campaigns from being limited by budget. This may be unrealistic, but uncapping your budget makes sure that you are reaping the rewards of your sustained presence during research phase. You don’t want to drop off when it counts. Make sure you are competing in every auction so that you maximise potential new and repeat business. Leverage automated bidding/smart bidding to change bids in real time as bids will naturally increase during this time. Tailor your offering by understanding what is most important to customers at this time. Purchase anxiety exists, people want to be assured that their presents will arrive on time. Make sure you are offering and can guarantee a short delivery time. This will give you the edge over your competitors and make sure you are competitive. Make sure you have the bandwidth to deliver on these promises so that negative reviews don’t hinder your hard-work. Tailor your Ad copy to prioritise this offering, ‘Next Day Delivery this Christmas’ and make sure it is displayed predominantly. Holiday themed ETAs and promotions, deals, discounts, delivery info – tailored to the season. This gives people an incentive. When changing Ad copy, either edit or add to existing ads so that you don’t sabotage your Ad history by replacing them entirely. Responsive text Ads could work well here, Google will show the most relevant Ad combination. Understand who your most valuable customers were last season. Use the audience insight report in Adwords. Understand your demographic as much as you can and where you succeeded last year or last promotion. Also, what area needs improving – cart abandoners, repeat customers or new customers? Identify and address. 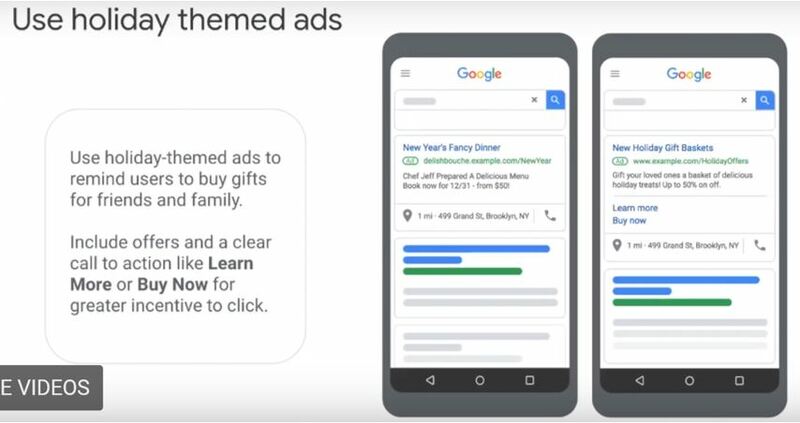 Lastly, Google advises that Advertisers future proof their Christmas strategy by creating a converters list with a 520 day window to cover the entire period. This way you can use this in the future.